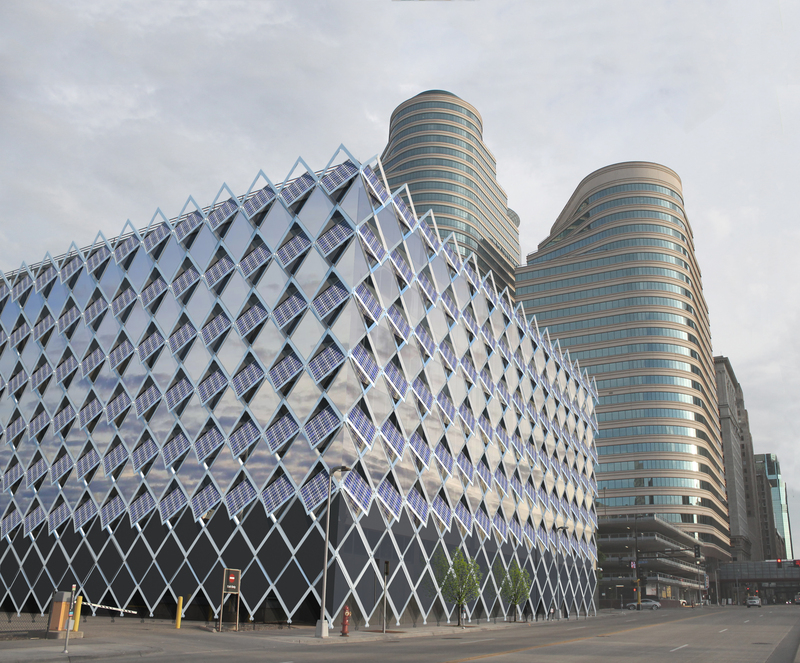 Buildings are responsible for 30% of energy use in the United States. As our existing building stock ages, much of the power consumption in our cities will be the result of buildings that were constructed prior to the widespread acceptance of sustainable building standards. Using vast amounts of energy but too expensive to replace, these structures will require dramatic alteration and retrofit if we hope to achieve a greener future. 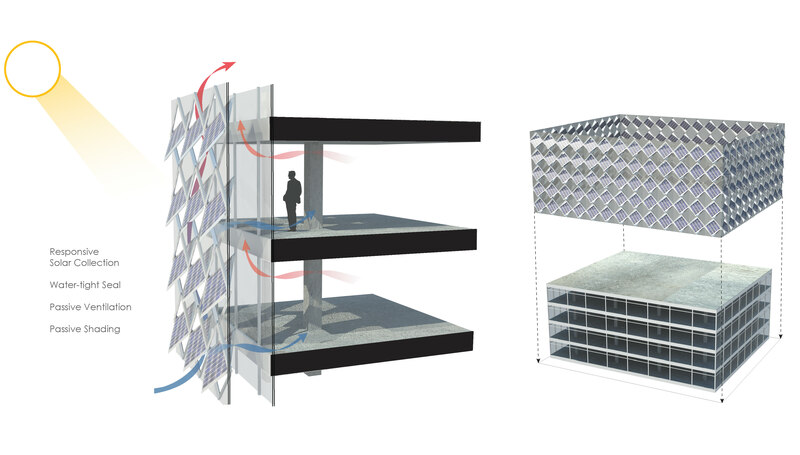 The Solar Shell is a self-supporting solar collection facade that encloses existing buildings, forming a double envelope. Rows of solar panels can be linked to a single mechanical driver and electronically programmed to track the sun on a diurnal basis. 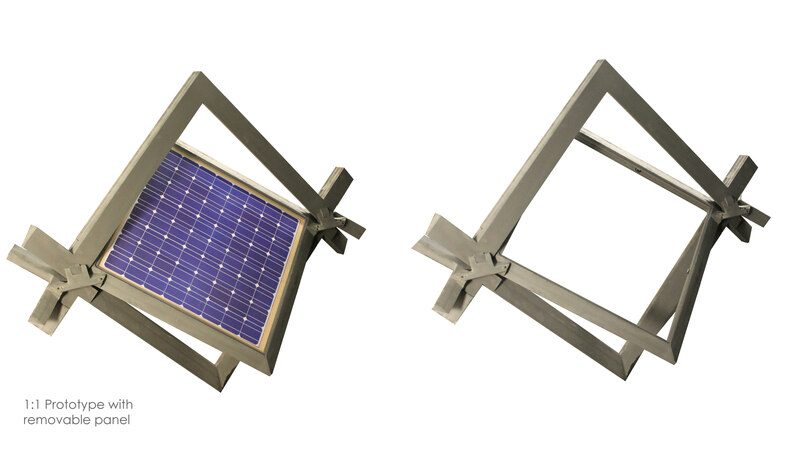 This results in up to 40% more efficient power collection when compared to a stationary panel. As the panels open, they also serve to shade building interiors during hotter months and passively ventilate the double envelope. When closed, the panels lap and seal to create a watertight exterior.